First of all, did you really have to end the novel without telling us anything about what happens to...well, ANYONE? What happens Lena and Alex? What happens to Julian? What happens to Tack, Pippa, Coral? How do we know if Raven is okay? If Lena's mother is okay? If the Resistance are successful or if Hana and Lena ever see each other again? The ending is one massive, unfulfilling cliff-hanger. Seriously, Lauren. I can't help, but feel completely let down. And let's talk about Lena for a second. Why was she so...helpless? Why was she the one who "couldn't speak" or "couldn't move" until Julian or Alex, her knights in shining armor, came to save her? The Lena I once admired is completely devoid in this book. And the thing I hated the most about Requiem is how the relationship between Lena and Julian from Pandemonium seems to have completely evaporated. Honestly, I can't help feeling hatred towards Lena for what she did to Julian. However, I also can't help feeling a renewed sense of hope that comes with Lena and Alex's love and sacrifice for each other. In a way, Lauren dangles hope and faith in front of you on a string, and pulls it away just as you are about to grab ahold of it. (Like the ending, ahem. Does Alex find Lena like he says he will?) 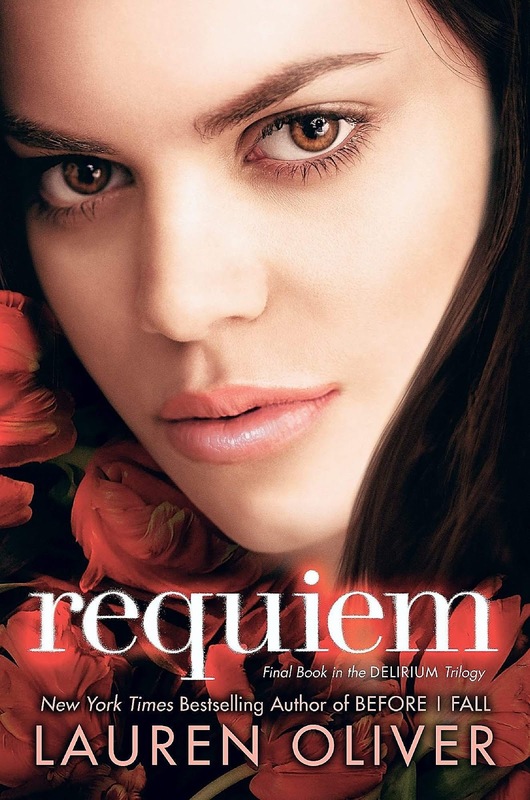 Nevertheless, Requiem was mostly enjoyable. Not because of Lena's constant self-pitying or poor Julian's crusade for Lena's approval, but because of Lauren's talent for words. Requiem's euphonious sentences and phrases continue even now, to resonate like music to my ears. And the beauty of it all is that no matter how much I attempt to criticize, she always leaves me speechless.